Already modified and geometrical shapes of pallet boards can be thought for numerous different purposes also! Do lots of wood cuttings makes you bored while dong DIY pallet furniture ideas? 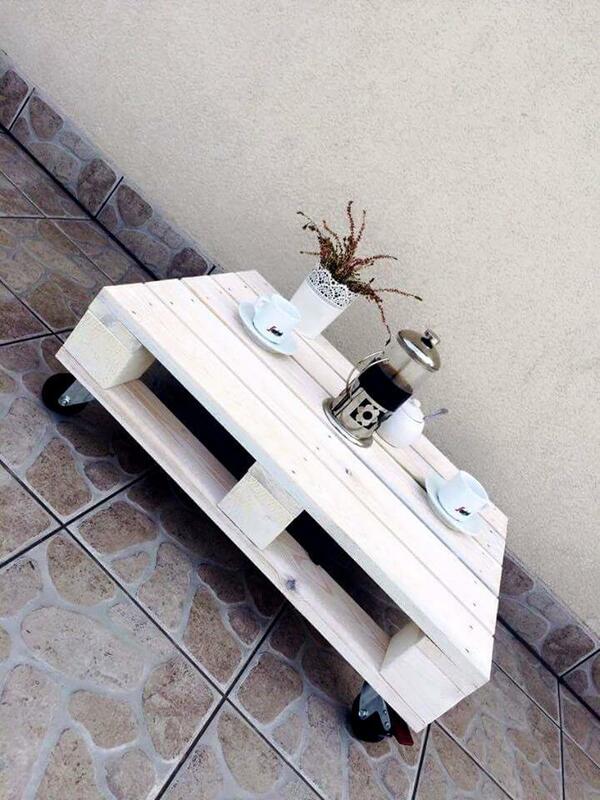 You can just skip them to make the constructions all no-sweat if you brainstorm a little to use the whole complete shapes of pallets for building furniture, give your thinking a creative boost by staring a little at this DIY pallet coffee table, an entire one pallet project, no boring cuttings or measurements are a part of the construction here, all you need to do is to select a size of pallets equal to size of coffee table you want! 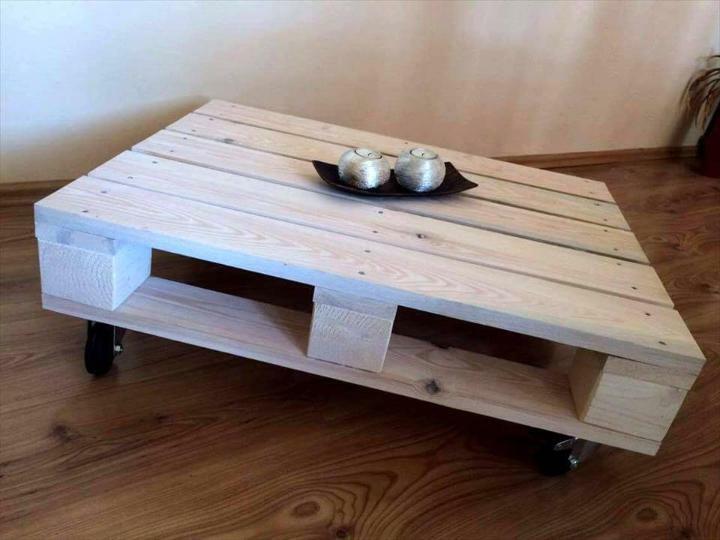 Pass the selected pallet board from sanding, varnishing and staining operations and just get it all well to look at and also smoother to touch, then just install the hardware rolling wheels to show it as a manufactured or industrial version of pallet coffee table! 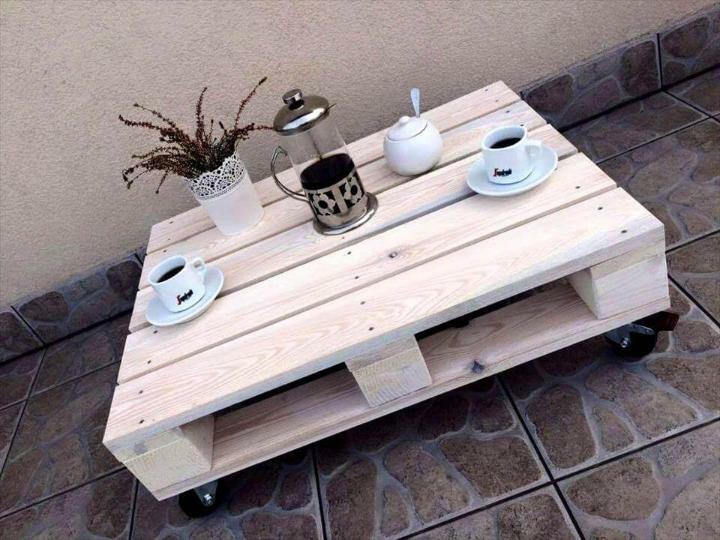 You will find yourself more amazed, whey you see that openings in pallets are serving as mind blowing storage pockets for coffee table! Reclaim single but nice looking pallet boards to get fantastic coffee tables, use caster wheels if you want that low height industrial looking coffee table otherwise use the legs to get a table raised to a standard height level! In this case the industrial rolling caster wheels have been attached tight to bottom side of the coffee table for a dignified look and also for easy dragging of coffee table! Thin coats of whitewash would work amazing if you want to create a charming shabby chic or vintage appearance of this coffee table, same has been done in this case! 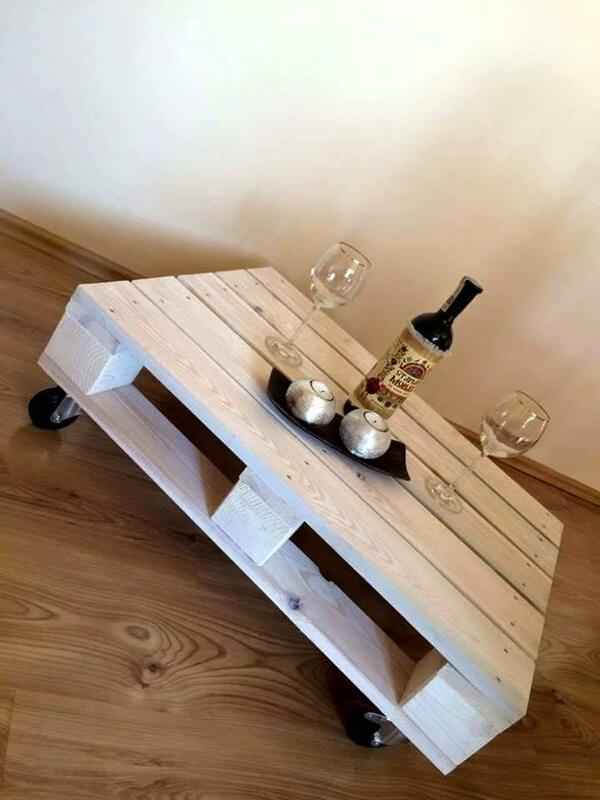 Drag the pallet table to the center of your sofa set or to any sitting set and enjoy the beverage parties there and also the longer gossips with some of closed friends or family members!